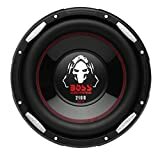 Top 10 Best Subwoofers in India 2019 - Top 10 In India - Only The Best of everything! LATEST product list, updates regularly! Buying a subwoofer isn't very simple. Do you want it for your home or your car. Either way, there are some considerations that will determine the right subwoofer for you. A subwoofer essentially produces the low range sounds, the bass, that thumps against your chest. to produce that the subwoofer needs to have a pretty big driver in it, which is why it comes in a squarish box. The things to look for in a subwoofer is its watts and its size. Today subwoofers of aroud 300 or more watts are easily affordable. There is a perception that the more the watts the better the subwoofer will be. 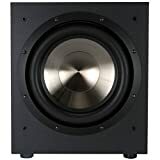 Though the sound will be louder in terms of volume and you will get ore thump in your chest with higher wattage, it doesn't necessarily mean you need to go in for the subwoofer with the highest watts in your budget. 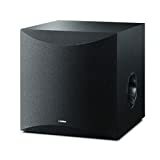 What you should look for is a subwoofer that fulfills your needs and fits into the space you have and is also from a good and reliable brand. There are many brands available today, some of them are slightly suspect, so go in for the better known brands if you have the budget. Pioneer and JBL are pretty well known, but Woodman is also a new and upcoming brand. 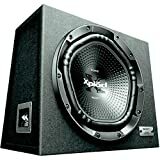 The top 10 Best Subwoofers in India are the top bestsellers and deliver the best performance at the best price. They may not be the bees knees in terms of quality as that is reserved for the really high end brands like Sonos, Polk, Klipsch and other, but you will get a good 'bass' bang for your buck. If you are looking for high end top of the line subwoofers then have a look at these. Also the list of the Top 10 Best Subwoofers in India gets updated everyday to bring you only the latest bestsellers. 6.37 Inch Mounting Height, 9.13 Inch Mounting Hole Diameter ; Dimensions: Depth 10.6" x Width 10.6" x Height 7"
Patented BIC "Venturi' vent - This patented vent cancels port noise, resulting in an exceptionally clear output that is devoid of clutter. Adjustable crossover and volume - Easy to operate controls let you tweak the output to suit your preferences. The Cambridge Audio X201 powered subwoofer is equipped with a 200 watt (RMS) amplifier with digital signal processing. Cambridge Audio's software engineers have designed a sophisticated Digital Signal Processor (DSP) to provide real-time control of equalization and dynamic range processing for the maximum possible performance while preventing drivers overloading or distorting. This allows the Minx X201 powered subwoofer to handle more power and play louder. The Cambridge Audio X201 powered subwoofer uses a front-firing, one-piece, aerospace-grade aluminum 6.5" cone woofer powered by the built-in 200W amplifier and twin side-firing, one-piece, aerospace-grade aluminum 6.5" auxiliary bass radiators. The X201 powered subwoofer uses an ABR system rather than having either an enclosed box (which would require even more power) or a ported design (which would require a bigger cabinet). The result is an extremely efficient and powerful active subwoofer. The Cambridge Audio X201 powered subwoofer has a rear-panel rotary volume control to adjust the volume of the subwoofer relative to the other speakers in the system. The X201 powered subwoofer offers a continuously variable low-pass filter, adjustable from 50-200 Hz. The powered subwoofer's phase adjustment allows you to adjust the subwoofer's phase between 0° to 180°. If the bass sounds muddy or unclear, adjusting the phase control can sometimes strengthen the bass performance. 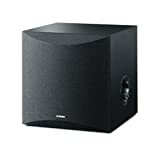 The powered subwoofer has gold plated left & right RCA line-level inputs for use with receivers having a subwoofer or stereo preamp output that do not contain their own low-pass crossover. The left channel RCA input doubles as the LFE input, if your receiver has an LFE output and a built-in low-pass crossover. The powered subwoofer's gold-plated left & right RCA line-level outputs allow you to connect (daisy-chain) a second powered subwoofer.